Javelina will turn six in January. As a company, it has grown and evolved a lot in that time. One of the most common questions we receive is “What IS Javelina?” It’s a great question, and we haven’t had a clear answer. We’ve been working that out internally as a team for months. We started with the question: “Why do we exist?” After a bit of soul searching (and team activities involving post-it notes), we determined that we are on this planet to advance equality and human dignity through social, political and economic change. We know the things that attempt to limit and divide us by race, gender, country of origin, or the circumstances of our birth are barriers to be shattered. And when we level the playing field – even by an inch – millions of lives can be touched and improved. By working with our clients – who are political candidates and initiatives, non-profit organizations, businesses, and individuals – to elevate their daily work so they can change the world. For those of you who’ve known Javelina since the beginning, you likely think of us as a political consulting firm. If we’ve met you more recently, you may think of us as a branding and marketing agency. So, what kind of company are we? Neither one, really. Today, Javelina is a change engineering company. We help you figure out the change you want to see in the world, and then we help you make it happen by bringing together the very best strategies from the worlds of marketing AND political campaigns. We bring your story to life, and we spring it into action. From digital marketing to campaign management, from community outreach to program development, we have the tools in the toolbox to help you launch an effective campaign for change. The closest thing to “change engineering” that you’ve likely heard of is “cause marketing.” Cause marketing first appeared in the early 1980’s, and is the practice of “doing well by doing good,” or promoting your own organization by campaigning for a good cause. What makes change engineering different is this: instead of starting by thinking through strategies that will positively impact your bottom line, we start with the question: “How can we positively impact other people?” Change engineering is about amplifying what you’re already doing so that you can have a long-lasting impact on the world. For example, maybe you provide support services for women who are seeking employment. You help them access careers where they can thrive, and you do it really well. But in doing your day-to-day work, you notice that women don’t progress as fast as men do in the workplace. And you know one of the reasons for that is women don’t feel they have the skills or the network to navigate upward growth at work. You know if you do something about it, you’ll be able to positively impact even more people. Here at Javelina, we can help you figure out what the solution might be. 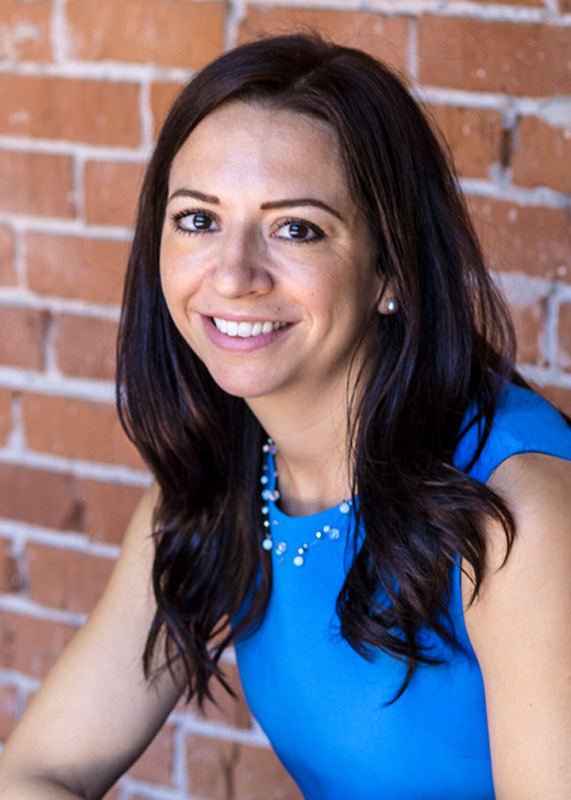 In this instance, we worked with Arizona Women’s Education and Employment (AWEE) to develop, launch and run SheLEADS, a professional development class specifically for women. To date, we have graduated 70 women who are progressing in their own careers, equipped with the skillset and the network to navigate whatever challenge comes next. And AWEE is impacting more and more women, as each participant is prepared to encourage and support those in their own personal network to meet their own professional goals. At Javelina, we envision a very different world. We envision a world where it is not dangerous for organizations to take a stand for what they believe in – it’s essential. We know that today’s consumers want to invest their time, attention and dollars with organizations that share their values. When organizations draw a line in the sand and say “This is who we are, and this is what we believe in,” they will attract a passionate, loyal customer base – even if it’s a smaller one – and their bottom line will benefit as a result. And when we all stop trying to appeal to everyone, and instead dedicate our daily work to also making change in the world, just think how powerful that will be! Think of the problems that will be solved when every person, leader, organization, and group is equipped to not only imagine the change they want to see in the world, but to have the tools to make it happen. So, what are we creating here at Javelina? Change. We get to work on a daily basis with our clients to make meaningful and lasting change in our communities. Whether we’re working to elect a candidate to office, build public awareness of an issue, or create an online movement for change, it’s pretty special work. But actually, we’re creating more than change. The ultimate goal is to create change engineers. We are creating change engineers all around us – whether it’s individuals, small businesses, or large non-profits – who are equipped and excited to go out into the world and elevate their daily work to make a positive impact on their community. It starts with the question: What is the change I want to see? Once you can see it, you can do it. So in the coming days and months, you’ll continue to see change at Javelina. You’ll see changes on our website, as well as new events, content, and ways for you to get involved. We are going to be creating and sharing free resources to help you figure out the change YOU want to make in the world – and how to do it. We want to know what questions YOU have about change engineering. What do you need from us to make change happen in your life and in the world? The only way we’re going to change this crazy world of ours is together. Let’s get started.